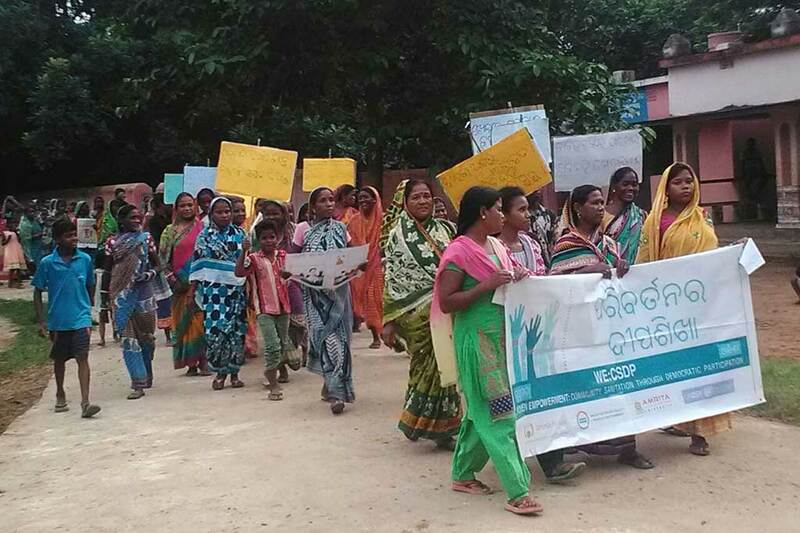 Some of the villagers in Guptapada, Odisha wish to make their village open defecation free. To spread the word, they rallied this week and marched throughout their community. More than 60 people took part as men and women, girls and boys gathered to voice their concerns and hopes. The event was supported by the AMMACHI Labs’ coordinator in the village; Master of Social Work students with Amrita University and Amrita SeRVe’s Village Coordinator and Health Worker. First the villagers made a pledge to take part in the Amala Bharatam Campaign—this is the Mata Amritanandamayi Math’s project to keep villages clean of garbage, especially of plastics thrown into streets and fields. ABC is in support of the Government of India’s Swach Bharat Campaign. 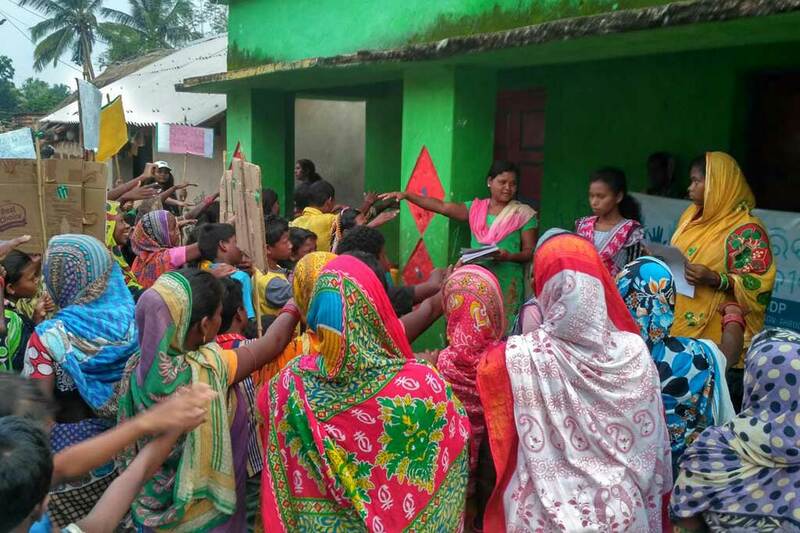 Next came the promise to use toilets in order to protect people from illnesses that can spread through the practice of open defecation, especially diarrhoea. This can be life-threatening, most of all for children, when it advances too far. AMMACHI Labs also set up dustbins throughout the village to aid in the collection of trash. Though the topics are serious matters, somehow the union of marching together brought much joy to the participants. When people join forces, the seeds are planted for positive changes to take root.